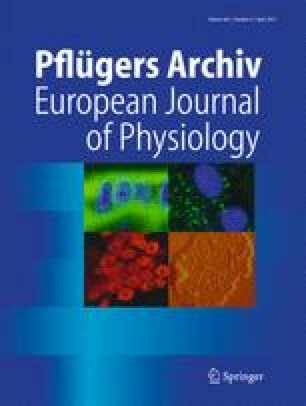 Mutations in genes coding for Ca2+ channels were found in patients with childhood absence epilepsy (CAE) indicating a contribution of Ca2+-dependent mechanisms to the generation of spike-wave discharges (SWD) in humans. Since the involvement of Ca2+ signals remains unclear, the aim of the present study was to elucidate the function of a Ca2+-dependent K+ channel (BKCa) under physiological conditions and in the pathophysiological state of CAE. The activation of BKCa channels is dependent on both voltage and intracellular Ca2+ concentrations. Moreover, these channels exhibit an outstandingly high level of regulatory heterogeneity that builds the basis for the influence of BKCa channels on different aspects of neuronal activity. Here, we analyse the contribution of BKCa channels to firing of thalamocortical relay neurons, and we test the hypothesis that BKCa channel activity affects the phenotype of a genetic rat model of CAE. We found that the activation of the β2-adrenergic receptor/protein kinase A pathway resulted in BKCa channel inhibition. Furthermore, BKCa channels affect the number of action potentials fired in a burst and produced spike frequency adaptation during tonic activity. The latter result was confirmed by a computer modelling approach. We demonstrate that the β2-adrenergic inhibition of BKCa channels prevents spike frequency adaptation and, thus, might significantly support the tonic firing mode of thalamocortical relay neurons. In addition, we show that BKCa channel functioning differs in epileptic WAG/Rij and thereby likely contributes to highly synchronised, epileptic network activity. The online version of this article (doi: 10.1007/s00424-012-1188-6) contains supplementary material, which is available to authorized users. This work was funded by Deutsche Forschungsgemeinschaft (DFG; BU 1019/11-1) and Interdisziplinäres Zentrum für Klinische Forschung (IZKF; Bud3/010/10; http://campus.uni-muenster.de/home.html). Thanks are due to E. Nass and K. Foraita for excellent technical assistance.